The last thing he expected to find in Ireland that summer was the inspiration to go on with his life, and certainly not in the form of an adolescent heiress. New York socialite Peg Shannon has everything--wealth, position, beauty and limitless prospects for happiness. or so the world believes. Aspiring London violinist Kendall Gregg is talented, handsome and charming. While hardly well-to-do, he has connections and ambition which should take him far. Or so it appears. Thrown together briefly by a twist of fate, Kendall quickly becomes young Peg's hero, while Peg proves to be Kendall's unlikely salvation. Through the decades, their deepening passion and shared secrets forge an enduring bond, destining them for a love affair that comes but once in a lifetime. 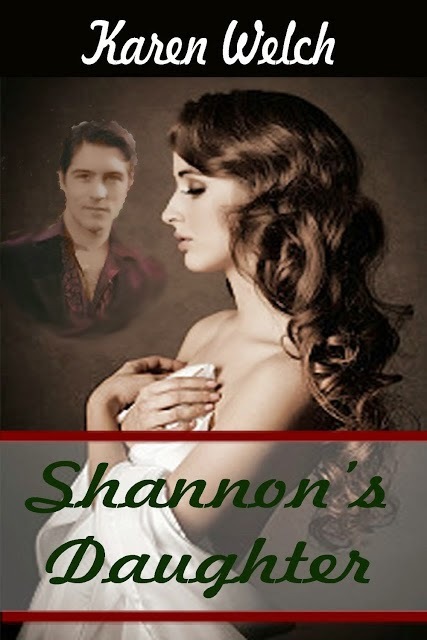 Set in the mid-twentieth century, Shannon's Daughter chronicles the complex relationship between two people constrained by family responsibility and a tragic secret, while delving into the history of one of the most intriguing characters in the Miracle at Valley Rise series.